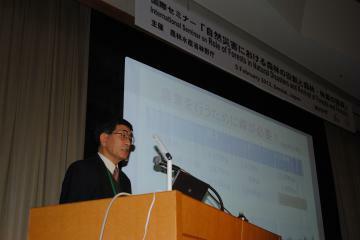 OISCA demonstrated its strong presence in an international seminar held on February 5 at Sendai International Center. This seminar on “Role of Forests in Natural Disasters and Revival of Forests and Forestry” was organized by the Forestry Agency, Ministry of Agriculture, Forestry and Fisheries (MAFF), and co-sponsored by the Japan International Cooperation Agency (JICA) and Food and Agriculture Organization of the United Nations (FAO). 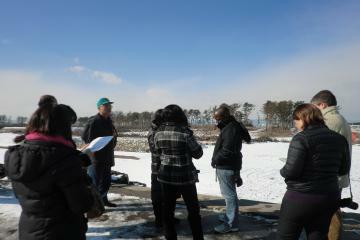 A 10-member journalists group from Argentina, Brazil, Chile, Colombia, Costa Rica, Jamaica, Mexico, Panama, Trinidad & Tobago and Venezuela visited on February 4 the OISCA Coastal Forest Project site in Natori City, Miyagi Prefecture. 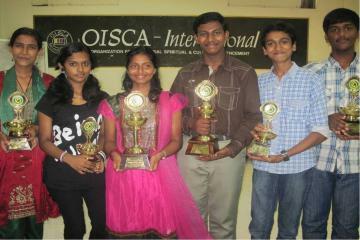 A total of 28,000 students participated in the 11th Top Teen Contest organized by the members of OISCA International South India Chapter in South India. The contest is an annual event under the Children Forest Program of OISCA that recognizes, motivates and rewards the outstanding youths both from public and private High Schools in South India. Through the official letter signed by Secretary-General Yasuaki Nagaishi on the 30th of January, OISCA-United Arab Emirates (UAE) is now declared as the 26th national chapter of OISCA International.